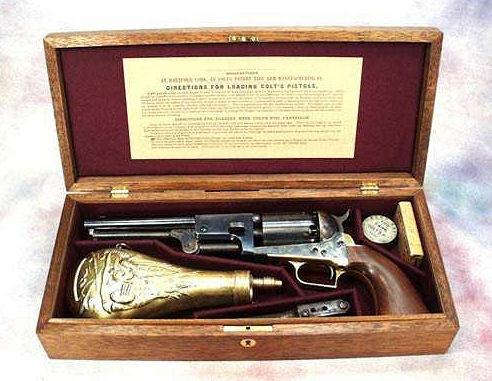 CMR Classic Firearms :: Colt 1850 Model Vintage Dragoon Percussion Pistol Wood Gun Case. hinges, but can add them if you desire an exact copy). on the lids of its cases. used in the 1850's that was glued with gaps up to 1/8th of an inch. extra cost. Dragoon cases are a lot rarer than the Navy and Army cases.